Your Instant Pot has stood by you through many dinner parties, neighborhood potlucks, culinary successes, and cooking disasters, and all that hard work the appliance did on your behalf is starting to leave its mark. Maybe your Instant Pot is becoming unreasonably grimy, or maybe it still smells like those pork carnitas you made a month ago. 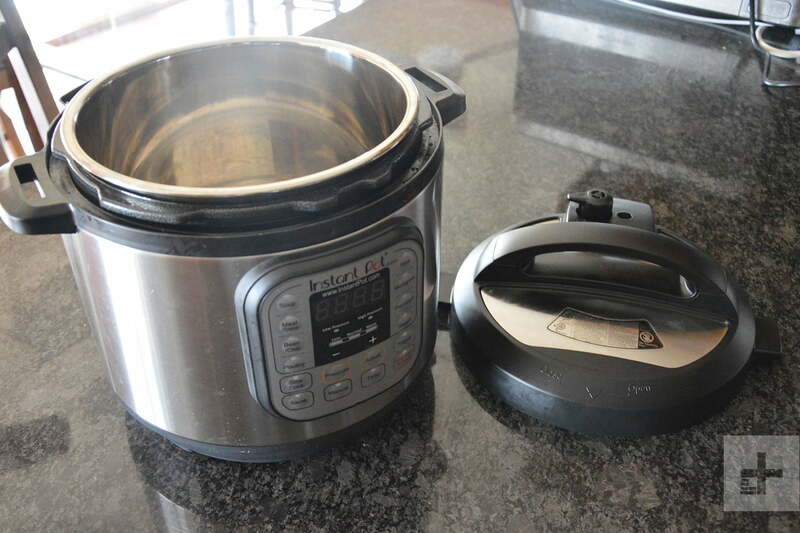 The good news is that one easy way to get your Instant Pot working like new again is simply to clean it. That’s right, a good deep cleaning will get rid of all that built-up grime, food particles, and mineral deposits, and you’ll be back at it with the meal-prepping and Sunday night family dinners. 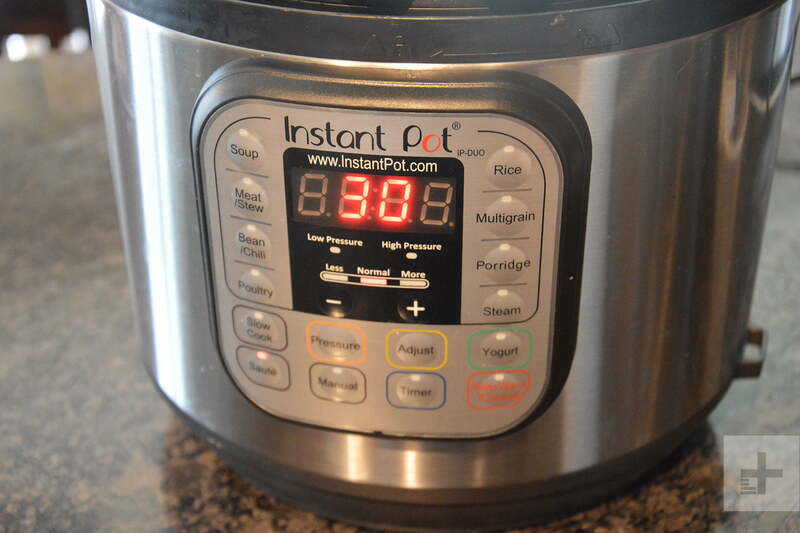 We’ll walk you through an easy step-by-step guide on how to clean your Instant Pot quickly and effectively. First things first, make sure your Instant Pot is unplugged before you start cleaning. It’s a good idea to unplug your Instant Pot whenever it’s not in use, but on this occasion in particular, you’ll want to make sure it’s unplugged for the intensive cleaning you’re about to do, both for your safety and also for the safety of your appliance. While the outside housing unit definitely can’t go in the dishwasher, you should be able to clean it thoroughly with a rag. Get the rag good and damp with water and cleaning solution, and wipe down both the inside and outside of the main housing unit (the exterior of the appliance, which holds the inner pot). For an even more thorough cleaning, use a sponge to get those hard-to-remove food bits and mineral deposits. Don’t forget the nooks and crannies where little particles like to lodge! Next, you’ll want to give the lid a good wash. You can hand-wash it in the sink with warm water, and be sure to add a little dish soap to make sure you’re removing any and all bacteria and other nasty things you definitely don’t want in your food. You might need to use a vinegar solution to get rid of all residual smells. 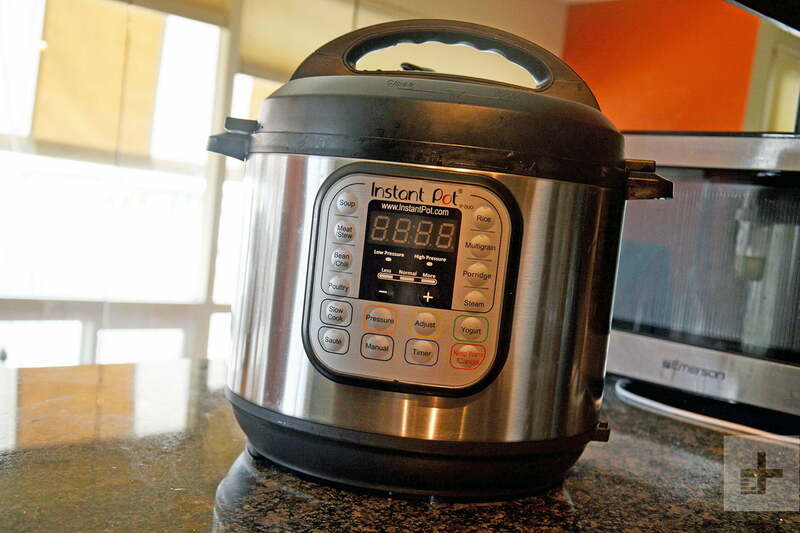 The Instant Pot has some nooks and crannies that you might not think to clean all the time. Now is the time to get all those crevices and small parts where food residue may build up over time. Remove the Quick Release handle, and wash it with warm, soapy water. Check around the steam valve, which can get blocked if too much deposit builds up there. Remove the shield, located inside the lid, which blocks the valve. Depending on the model you own, the shield could pop off easily, or it may need to be unscrewed. Check your owner’s manual, or play around with it unless you’ve removed it. Wash the shield in the sink. Lastly, take a look at the condensation collection cup, which should be located on the side of your appliance. It may have collected food residue over time, so give it a scrubbing in the sink if it looks like it needs a cleaning. The silicone ring that can be found on the underside of the lid will likely need a thorough cleaning. After all, that’s what ensures your Instant Pot has a tight seal, and it’s an easy spot for food particles or residual smells to lurk. You should also check it for any signs of damage, as silicone can start to crack over time. If you notice any tears in the silicone ring, you’ll want to order a replacement immediately. The silicone ring is dishwasher-safe, so you can pop it in there on the top rack. Once it’s thoroughly cleaned, place it back on the underside of the lid, and make sure you’ve got a secure fit. The inner pot is dishwasher-safe, so you should be washing this regularly anyway. But since you’re doing a deep clean, it doesn’t hurt to pop the inner pot into the dishwasher, along with any of the other dishwasher-safe accessories you use with your Instant Pot, such as silicone molds and wire racks. Once the inner pot is out of the dishwasher, dry it off with a paper towel and use some household vinegar to give it a thorough wipe-down. This gets rid of any built-up residue from things like minerals in your water, or dish detergent. After all, you want your Instant Pot to look nice and shiny, don’t you? This will help with any smells as well. Now that everything is clean, you can reassemble everything. Don’t forget about those small, easy-to-miss pieces, like the sealing ring and shield. Those are extra important to ensure you’re using your Instant Pot safely, so definitely don’t forget about them. Just in case the sealing ring still has a strange food smell, you can go a step further and deodorize the part with a vinegar steam clean. It’s a simple process and can be done directly in the Instant Pot. Just add one cup of water, one cup of vinegar, and some lemon peels (for extra freshness!) to the inner pot, and run the Instant Pot’s “Steam” setting for a few minutes. Be sure to allow pressure to release naturally, and when the lid is safe to open, you can remove the sealing ring and let it dry on the kitchen counter.